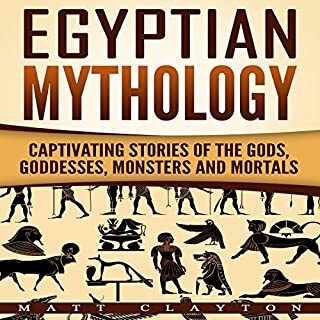 These are stories of massive struggles between good and evil, but they are enacted by gods whom the Egyptians thought of as very like themselves, prone to mistakes and a prey to common human failings. Osiris' story is both familiar and strangely alien. He is the god of the dead, but he became so by the very fact of his mortality. All the gods of ancient Egypt were capable of dying, but Osiris was also a symbol of resurrection, not unlike Christ in Christian theology. Osiris was betrayed by somebody close to him (in this case, his brother Seth) and was murdered and reborn, but here is where Osiris and Christ part ways. Osiris’ death is brutal, and his resurrection is the product of his wife Isis’ love for him. You will learn about Osiris like never before. What is often referred to as Egyptian mythology is actually a collection of all myths that existed in ancient Egypt. Call them myths or beliefs - these were an important part of ancient Egyptian religion and described the actions of the many gods and goddesses. When we think of ancient Egypt we think of the great pyramids, the Sphinx, Egyptian gods, and the great myths. But what influenced this great civilization to create and live as they did? This book provides a unique insight into how ancient Egypt's fascination with death and the afterlife shaped Egypt's great architecture, beliefs, and ultimate influence on world civilization. Learn the secrets of the pharaohs and Ancient Egypt! No matter how much you know about modern culture, there's no escaping the fact that ancient myths still impact our world today. Have you ever wondered why ancient Egyptian mythology has stood the test of time? Ancient Egyptian Mythology can give you a better understanding of Egypt and its culture. 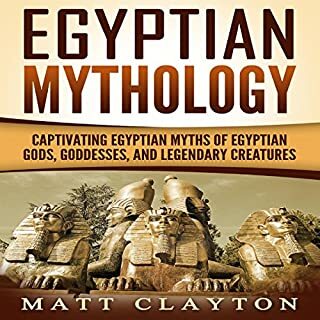 It includes information on over 35 different Egyptian gods. You'll learn their "life stories" and how they are related to each other. Also, you'll find out their various spheres of influence, which cities they're identified with, and how they are said to have helped the people of Egypt. Satisfy your curiosity - learn the legends of popular deities like Isis, Osiris, and Horus. You can impress and entertain your friends and family with your new knowledge of these fascinating tales! 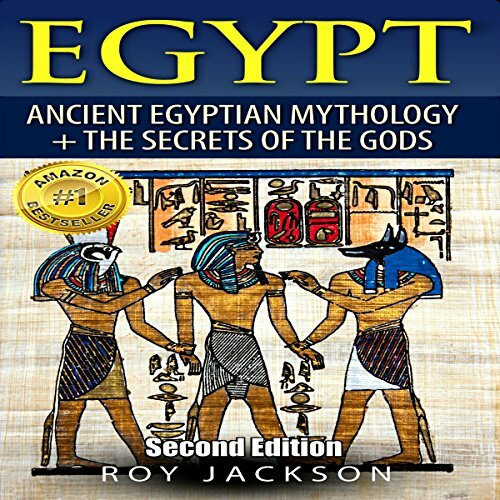 Purchase Ancient Egyptian Mythology now to find out about this rich and exciting culture - and the stories they've passed down to us. If you could sum up Egypt in three words, what would they be? I liked the tale of Amon-Re's decision to sire a daughter to rule the two kingdoms. Narrator sounded engaged and was very easy to follow. I liked the way he kept my interest from flagging. Kept me listening in one sitting. Will probably have to go back and re-listen to a couple of sections to make sure I understood some of the complicated relationships. You've got to listen to the story of the disputes between Set and Horus and then marvel at the kind of imagination that dreamed this up. 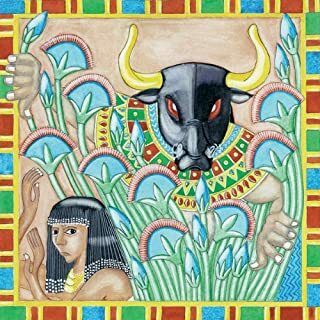 I loved this book, Its really curious how the ancients lived in the past, one of my favorite civilizations is the Egyptians and this book was a really good book to know more about them! Perfect material for my studies! 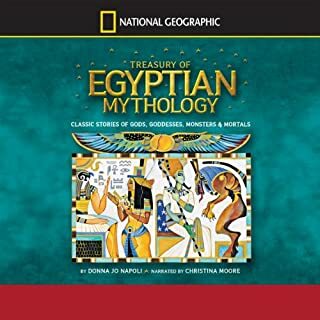 I brought this audio book to my school to discuss about Ancient Egypt. This audio book is awesome! Well organized and well written. I enjoyed listening to it. The content is so much informative and I believe a lot of people will benefit from this. 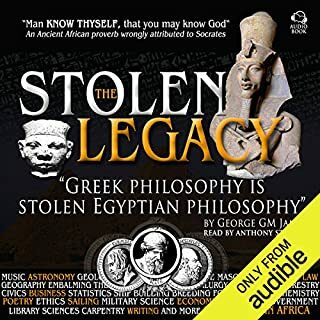 I have taken several classes on Ancient Egypt, so I came to this audio book with some background in the subject matter. However, that is certainly not required. I not only found familiar information, but I found new information I did not know within the first few chapters. Whether you are doing research or just have an interest in the subject matter, this audio book is well worth your time! More like a textbook and less mythology. 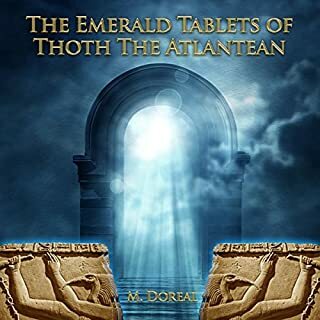 If you are looking for a book of mythology stories then this IS NOT the book for you. I was very disappointed that the bulk of the book was a summary of the various gods and goddesses and not actual stories. There were some at the end, but they were mostly framed in the exploits of pharaohs, and not adventures of the gods themselves. The performance was very dry and 1.25/1.5x brought it up to a normal talking pace.